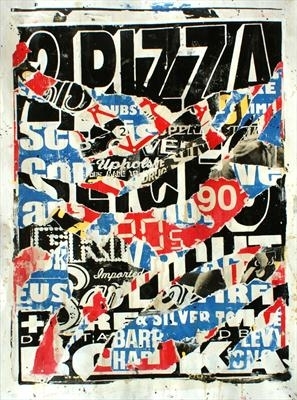 A painting that explores contemporary values through signage and street advertising. 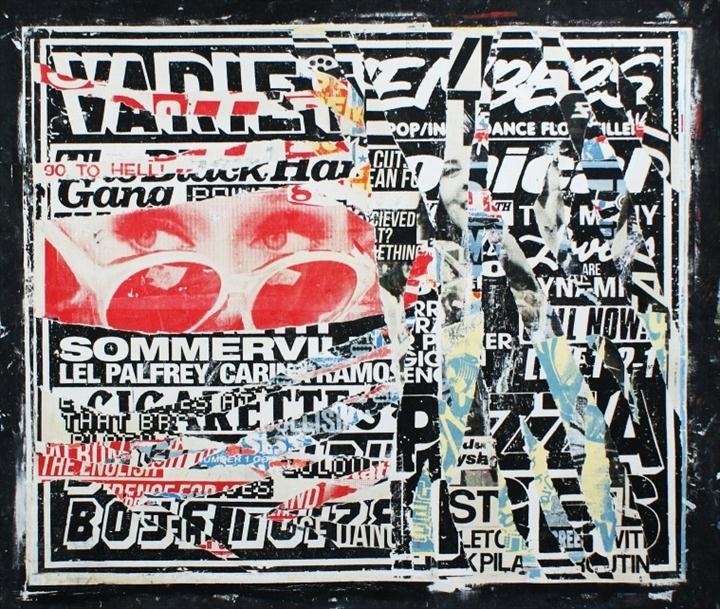 Each layer is built up with paint and then painted over with more imagery to recreate the fragmented and conflicting nature of street advertising. 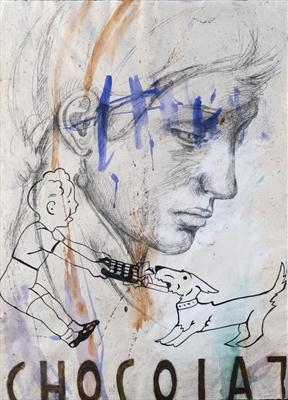 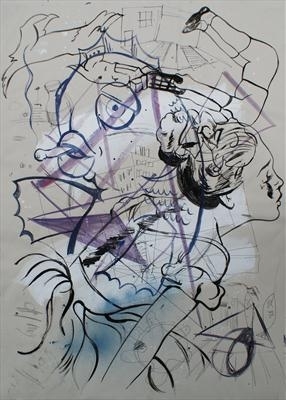 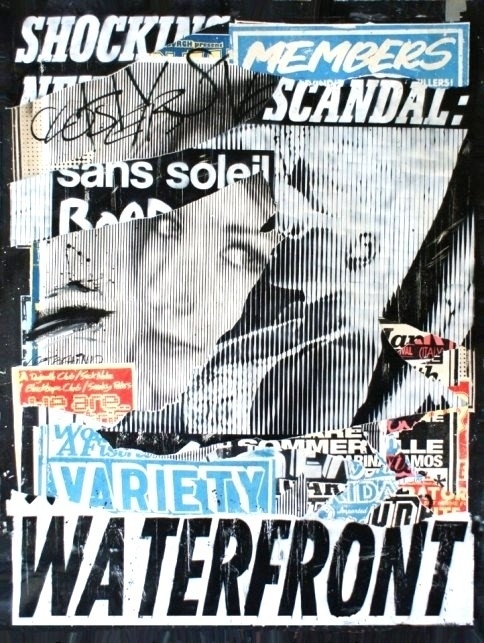 90x64cm poster paint, emulsion and varnish on paper. 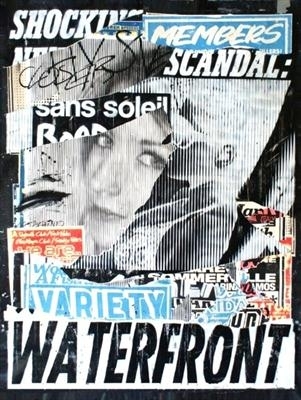 A painting that explores contemporary values through signage and street advertising. 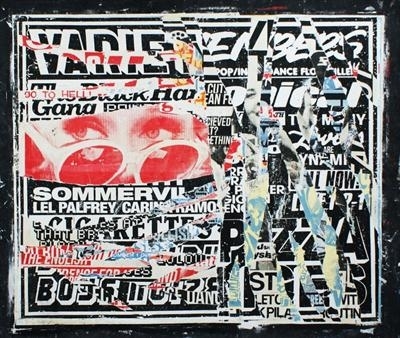 Each layer is built up with paint and then painted over with more imagery to recreate the fragmented and conflicting nature of street advertising. 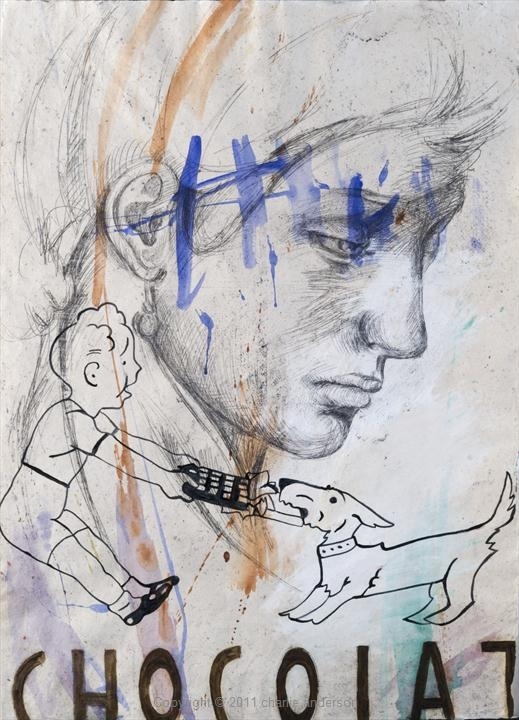 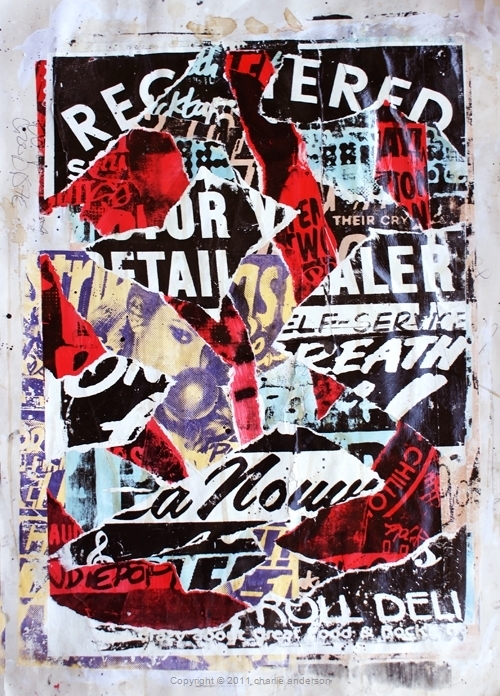 123x90cm Poster paint, emulsion and spray paint on paper. 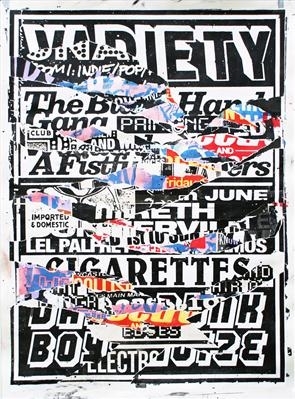 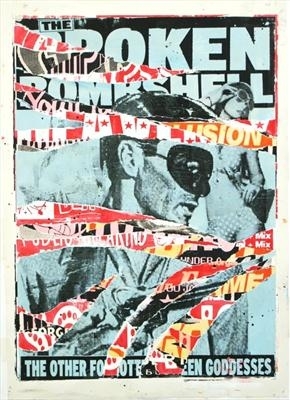 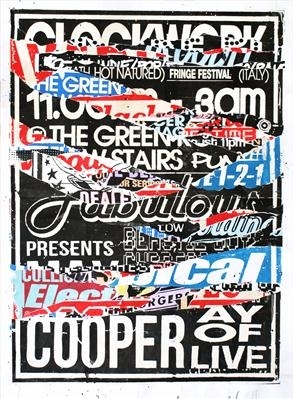 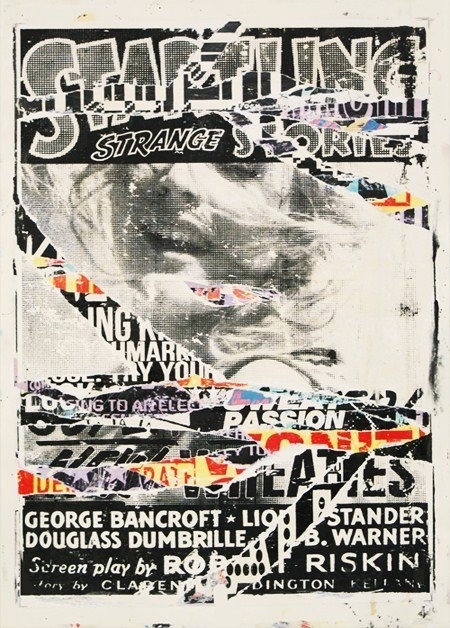 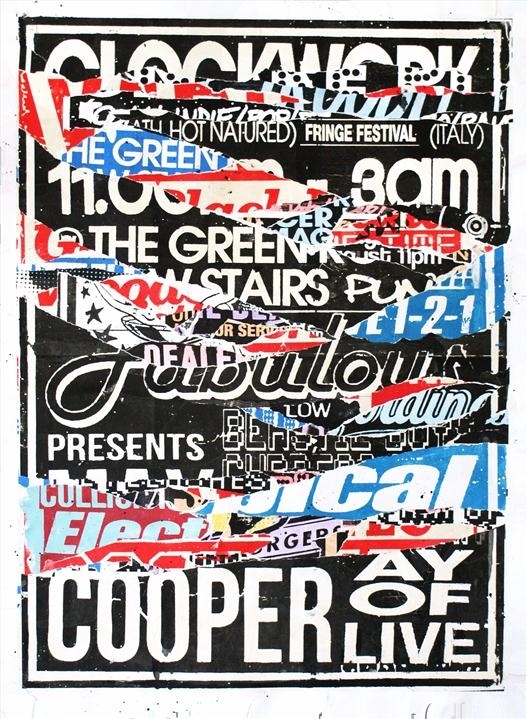 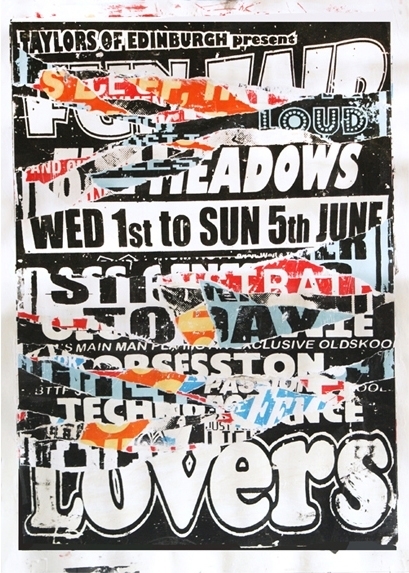 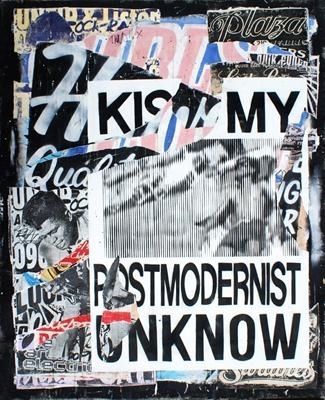 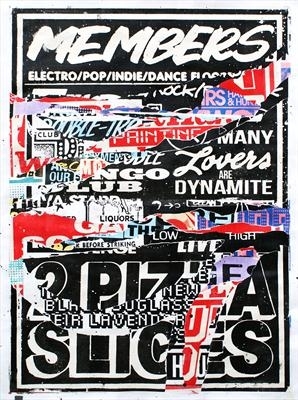 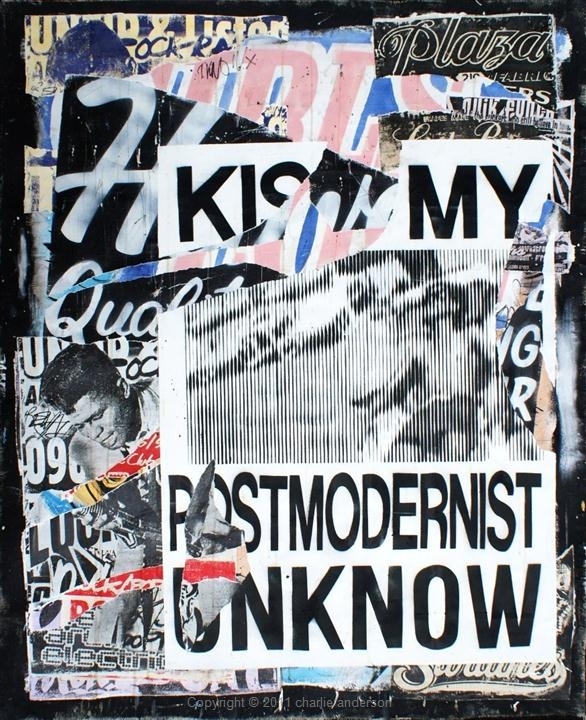 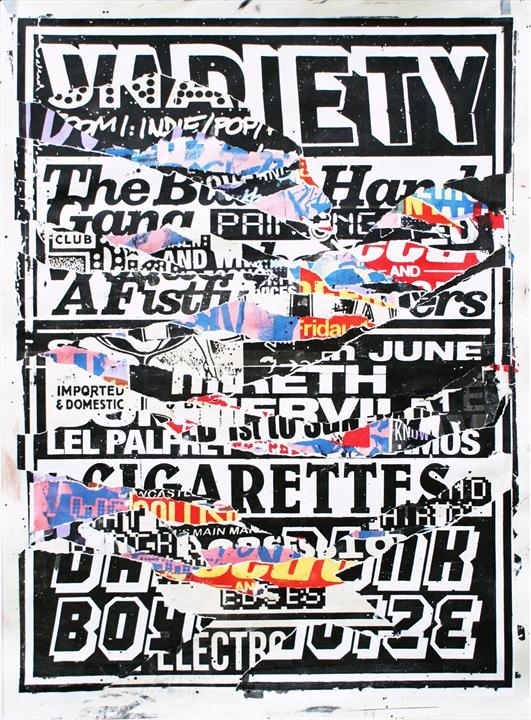 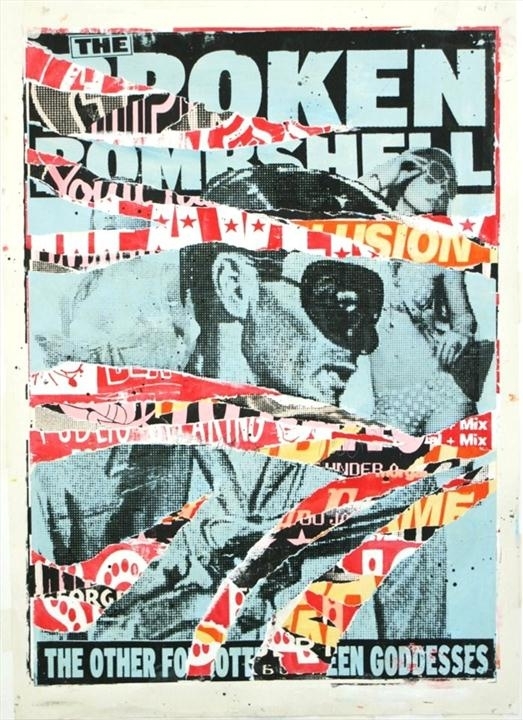 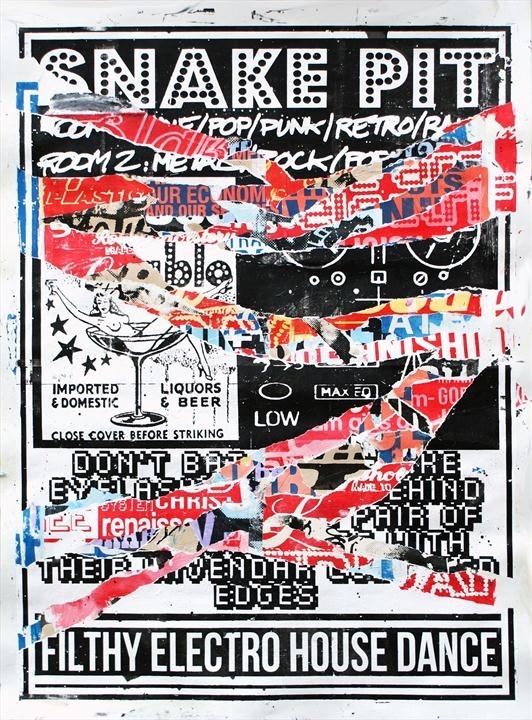 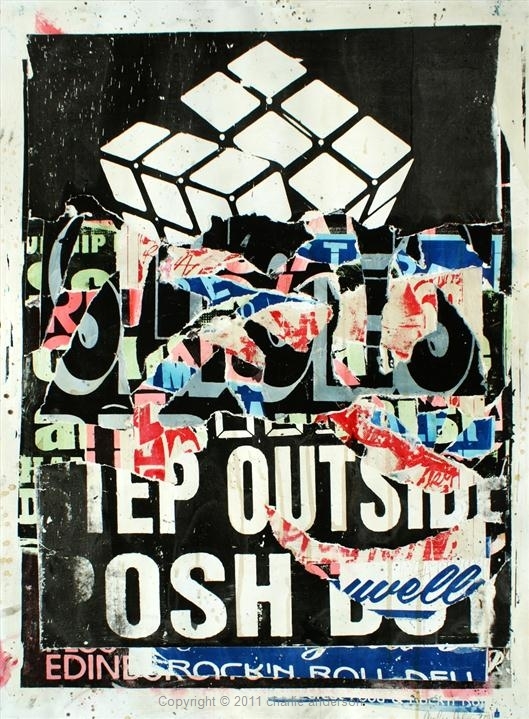 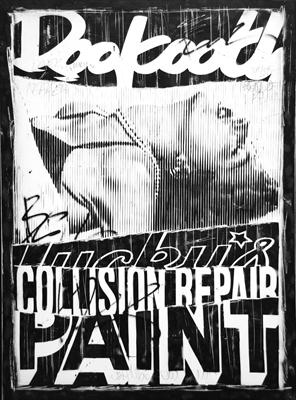 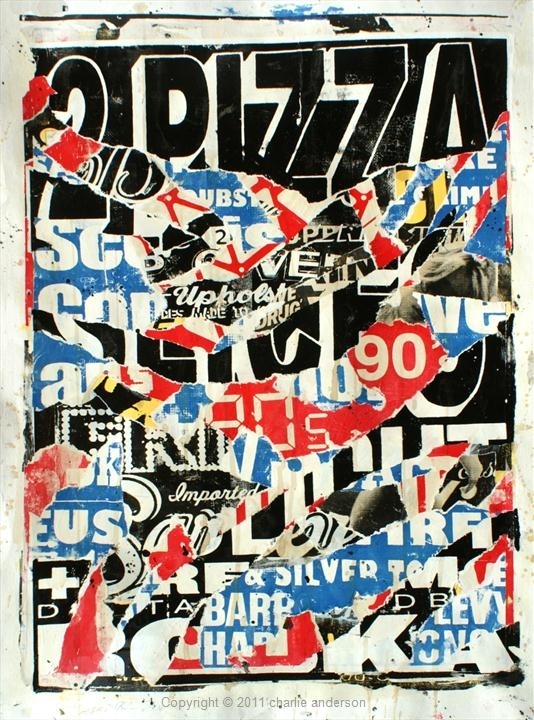 Layers of imagery and text built up using only paint, exploring contemporary values through the flyposting campaigns of politicians, local council, music companies and advertising firms. 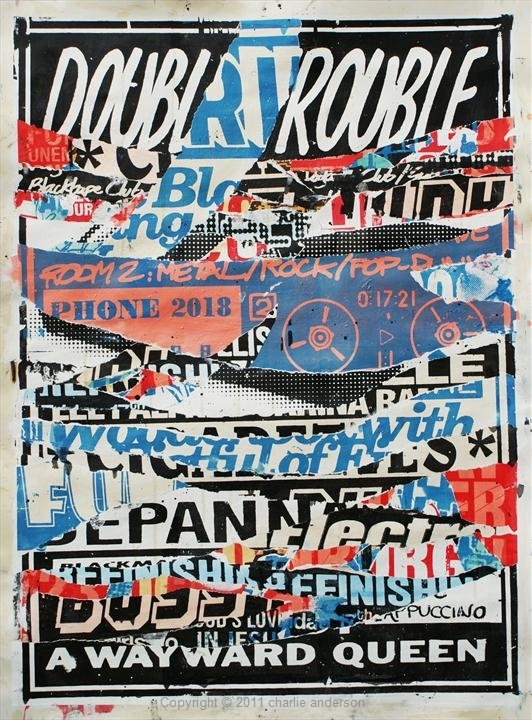 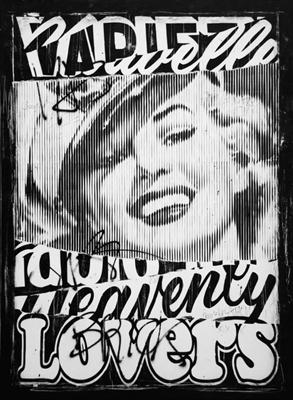 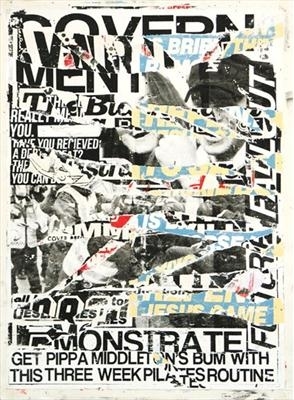 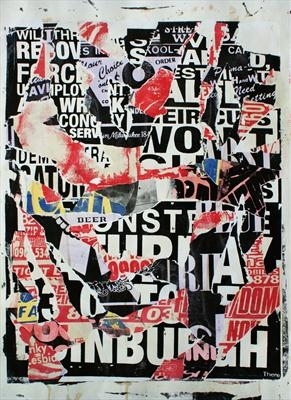 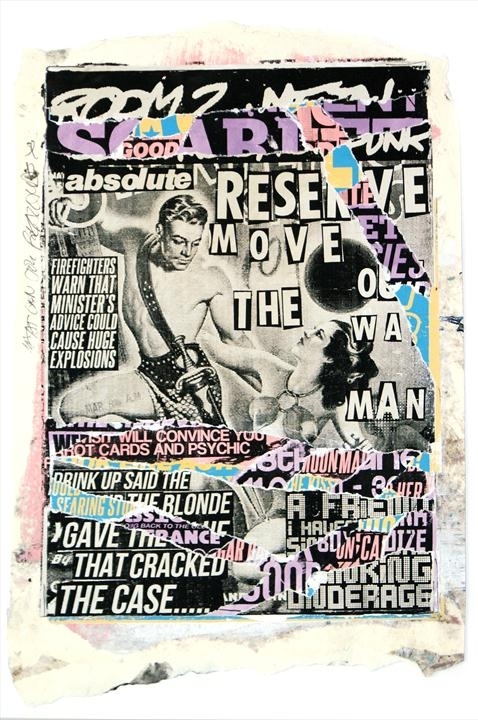 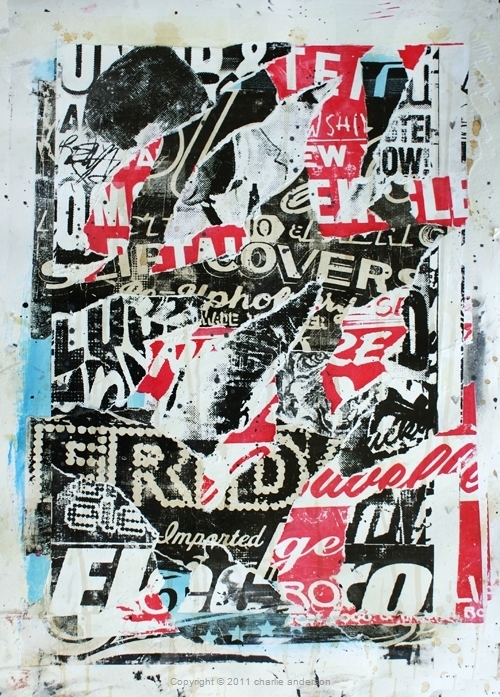 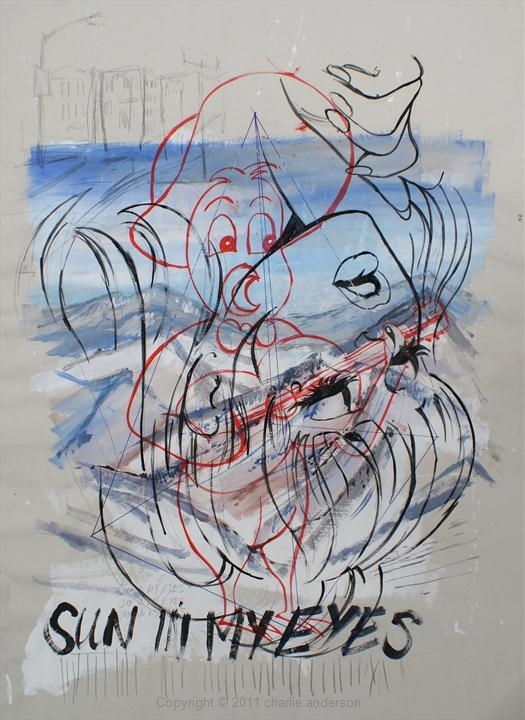 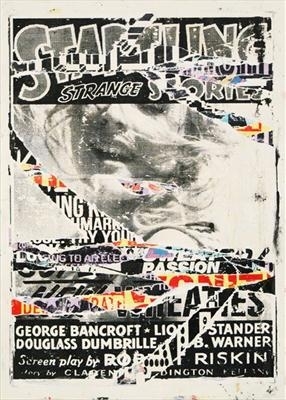 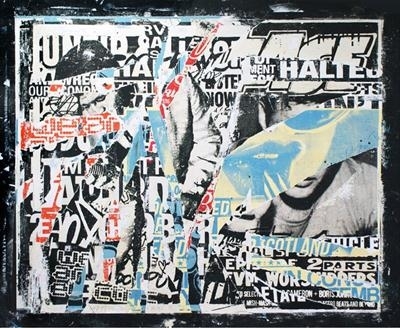 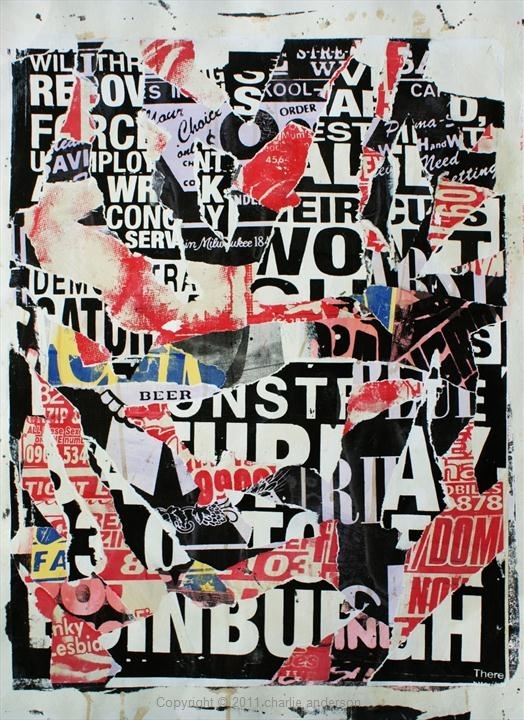 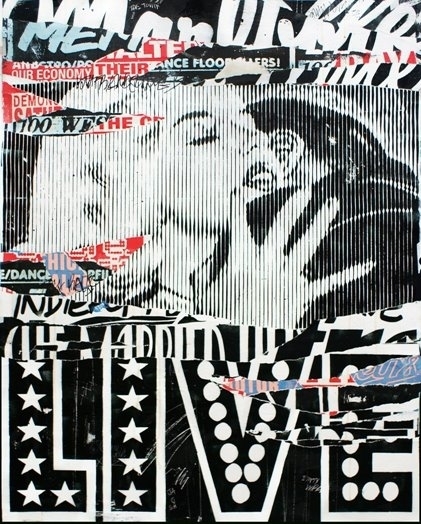 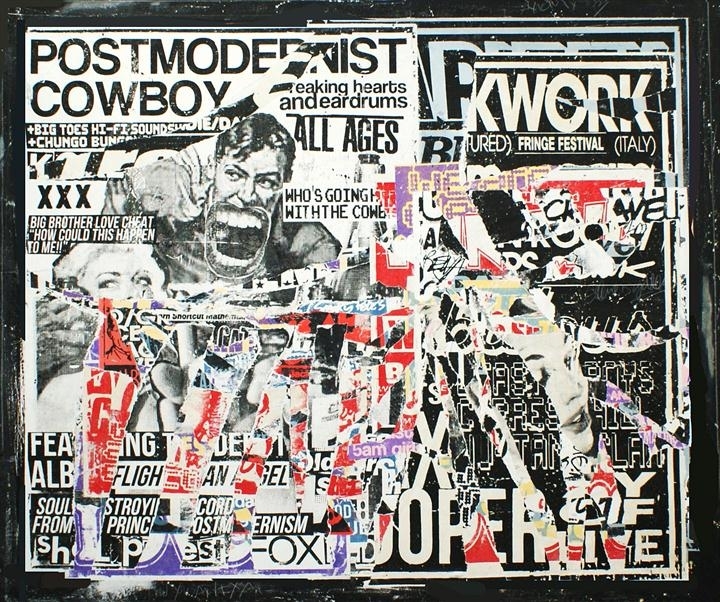 Layers of imagery and text built up using only paint, exploring contemporary values by sampling imagery from street level political campaigns, music companies and advertising firms. A painting using imagery from contemporary culture, each layer hand painted then fragmented by the next layer of imagery. 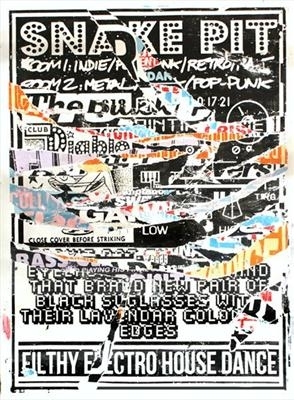 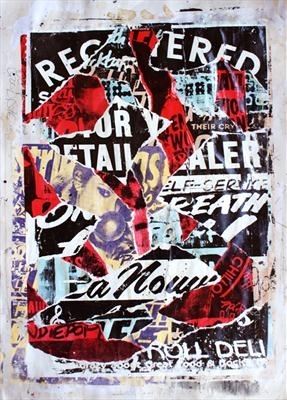 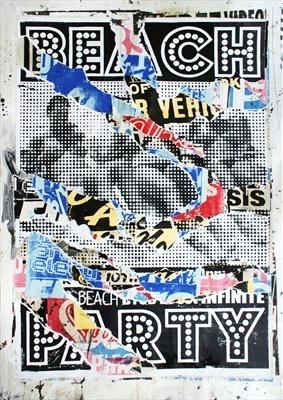 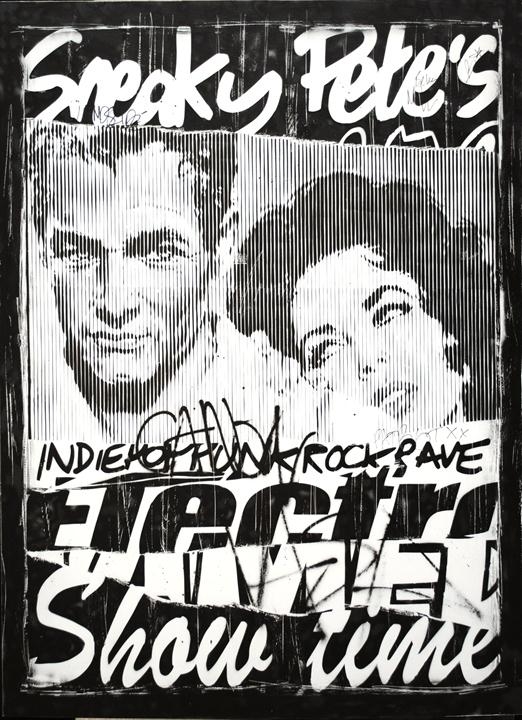 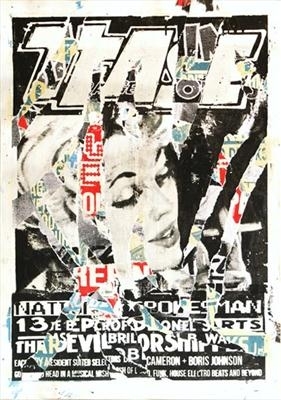 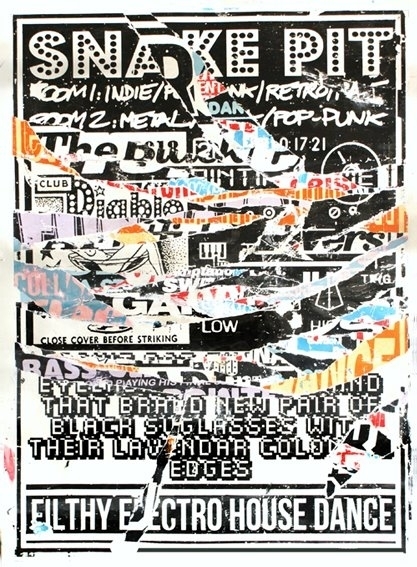 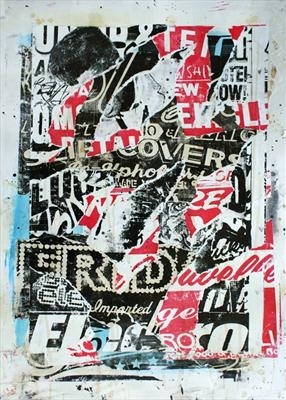 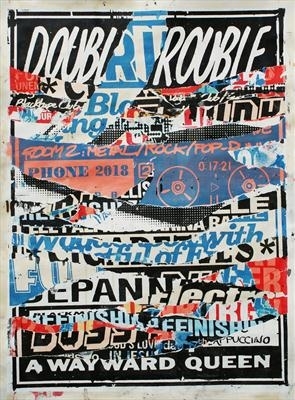 The resulting effect is a painting that recalls the weathered and layered posters plastered on city walls. 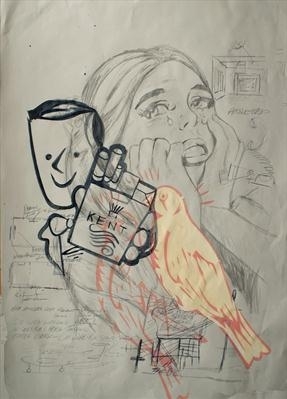 This process allows the artist to document city life. 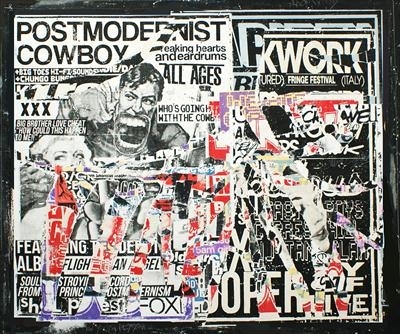 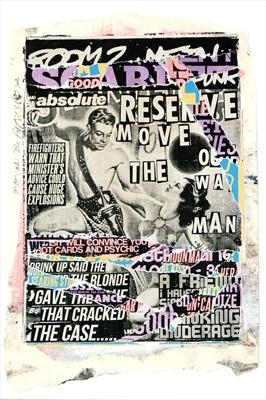 A painting using imagery taken from popular culture, mainly gathered during my time in Los Angeles. 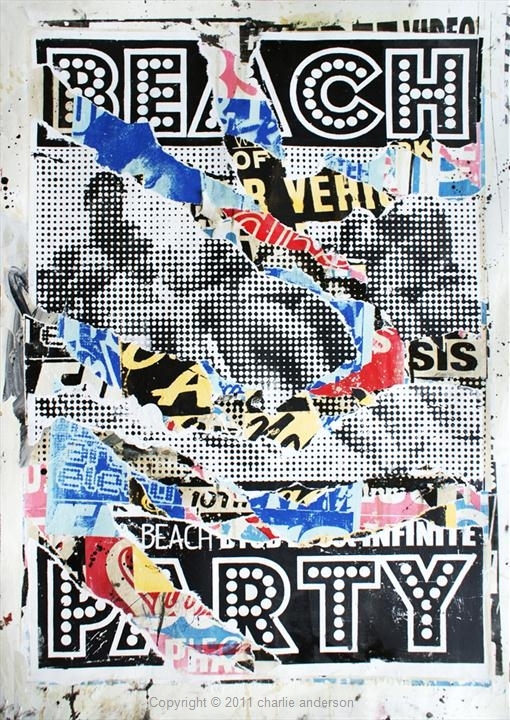 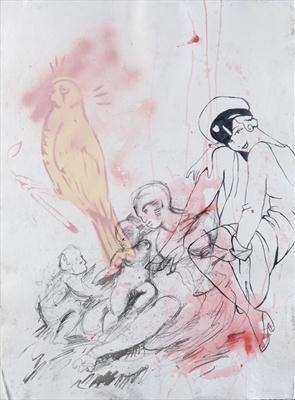 The imagery is applied strictly with paint in such a way to recall the layered and weathered appearance of outdoor billboards and street advertising.